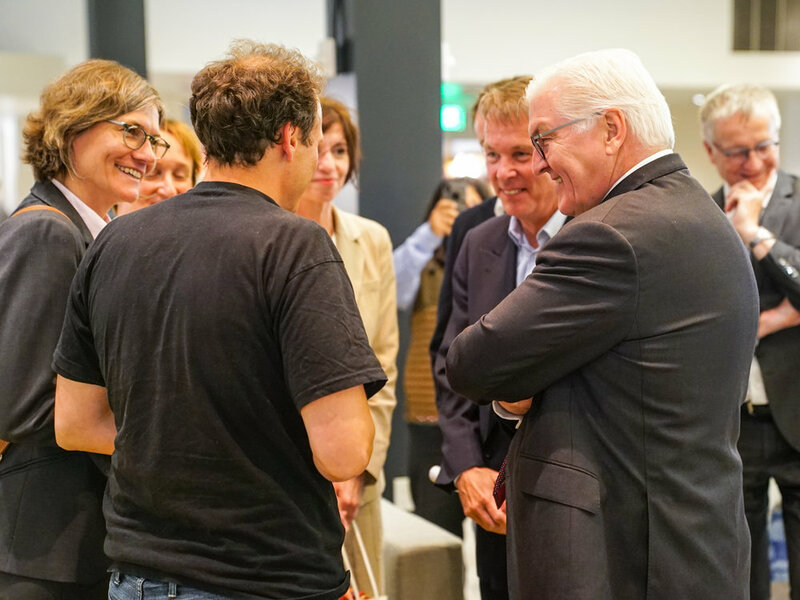 On June 20, we were fortunate to welcome German Federal President Frank-Walter Steinmeier and his wife Elke Büdenbender at HanaHaus. They were accompanied by a delegation of representatives from the German Parliament as well as the German business, media, and cultural landscapes. The President spent the first part of his visit discussing the Silicon Valley innovation ecosystem while enjoying some excellent Blue Bottle coffee in our sunny courtyard. Dirk Kanngiesser, CEO of the German Accelerator, SAP COO and Executive Board member Christian Klein, Consul General Hans-Ulrich Suedbeck, and Head of HanaHaus, Daniel Zimmer, also joined the get-together. 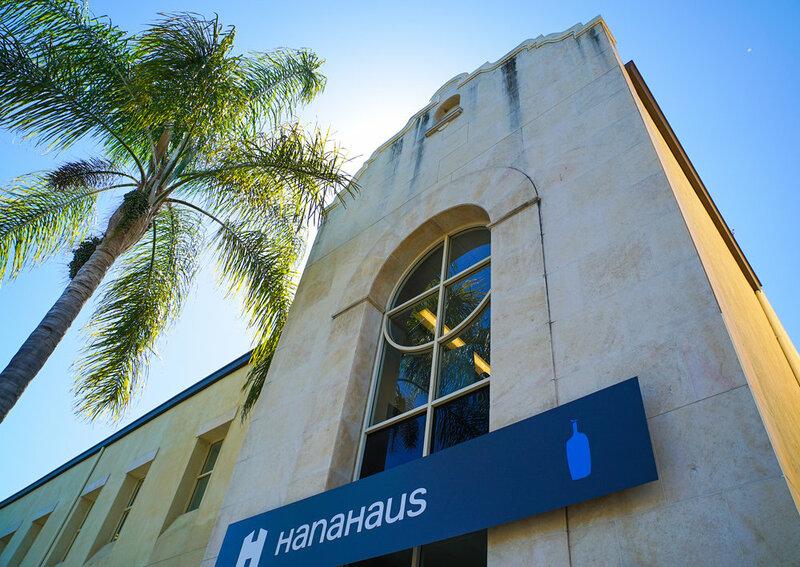 Later, the President engaged in a lively discussion with several startup founders in the HanaHaus workspace. The startups, mostly alumni of the German Accelerator, shared their personal experiences and why they came to Silicon Valley. Access to growth capital is critical in order to reach a certain market penetration and growth rate. Founders noted that while it is not necessarily easier to get funding in the US, funding amounts are often larger, and investor deals in Silicon Valley give startups access to the venture investors' valuable business networks, referred to as “smart capital”. In a sense, corporations form the engine of the startup ecosystem by fueling the cycle of tech innovation. Startup founders mentioned they generally find enterprise customers in the Silicon Valley to be more open to trying out new products, which can result in a faster market adoption in the US. Some founders were also surprised by the close alignment between universities and the startup ecosystem in Silicon Valley. For example, it is not uncommon for Stanford professors to invest in startups, and the university has several initiatives aimed at nurturing entrepreneurs, such as the StartX accelerator program. Underlying all of these aspects are general cultural differences between Germany and Silicon Valley. The startup founders experienced less aversion to taking risks in the US - failure is mostly embraced as a means to learning and the Silicon Valley mindset challenges many founders to think bigger. Yet, besides highlighting what makes the Silicon Valley ecosystem unique, the founders also pointed out characteristics they particularly value about Germany, such as the quality and rich tradition of engineering and the greater sense of solidarity and loyalty in German society. So, it came as no surprise to President Steinmeier that - while it has been beneficial to experience the Silicon Valley mindset, refine products and collect part of their funding in the US - many of the startups continue to be headquartered in Germany, combining the best of both worlds.